The company name “Share your BICAR AG” stands for the enterprise’s space-saving, CO2-emissions-free mobility solution for the “last mile” (i.e. short routes in metropolitan settings). Its founders – Hans-Jörg Dennig and Adrian Burri – have already executed cooperative agreements with three cities in Switzerland. They are currently negotiating pilot operations arrangements with a number of other European municipalities. The administrators in charge of the mobility infrastructures of London, Madrid and Barcelona, Amsterdam, Antwerp as well as Gent and even Singapore have expressed keen interest in the “Share your BICAR” concept. 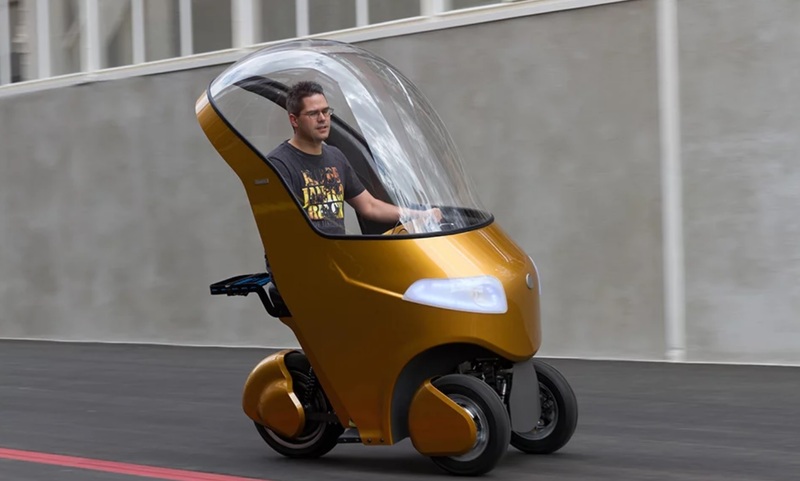 They all have identified a significant added value in this option, which is ideal for year-round use regardless of the season and allows drivers to forego the helmet, unlike existing sharing models, such as scooter and bicycles. Good reasons for the City of Winterthur, the Regional Association of Baden Wettingen (RVBW) and the pick-e-bike sharing service of the Baselland Transport AG to sign cooperative agreements aiming at the deployment of the BICAR vehicle as a pilot project in less than a year. Right now, the development team is feverishly working on version BICAR 3.0 – the vehicle that meets all registration criteria for operation on public roadways and that is slated for use during the pilot phase. In conjunction with these undertakings, the enterprise can count on the support of the Alternative Bank Schweiz as an additional investor and has entered into cooperative partnerships with other Swiss companies (Kyburz, PostAuto, Bosch Car Service, etc.). The European Parliament and many European cities have decided to cut urban metropolitan fossil fuel driven automotive transportation by up to 100%. Goals such as these fuel the vision of Share your BICAR AG with even more passion: “Every BICAR vehicle used as part of the sharing model reduces CO2 emissions by at least a ton a year and results in the expendability of eight cars,” says Burri. “In a joint effort with strong partners and investors who are eager to shape the future of metropolises with us, we will attain the goal of sustainable, CO2-emissions-free mobility.” Anyone interested in supporting the project is encouraged to reach out to the founders of Bicar, which is a LEVA-EU Member.